You will always face the same challenge when working out at home: how do you recreate an intense gym workout without all of the equipment? This is especially true when you’re trying to figure out how to do dips at home. Sure – at home you won’t have all the fancy equipment like dedicated chest dip bars – but that doesn’t mean you can’t kill your next dip workout at home. Chest dips are one of the best and most underutilized chest workouts. Most professional fitness trainers will insist that you include them in your regular chest routine – and with good reason. The best time to do chest dips is at the end of a workout when your chest muscles are completely shot. These dips will give you that one last burn that will result in a killer workout. Chest dips provide a much more intense focus on your chest muscles than most other exercises. 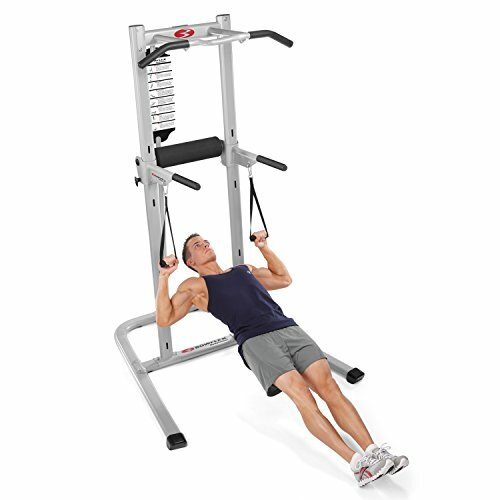 This is mostly due to increase range of motion required by chest dips compared to exercises like the bench press. Workouts with smaller ranges of motion restrict the use of many muscles that you should be working out. These short ranges force the muscles to focus more on stabilization rather than moving more weight and building more muscle. A good way to visualize the range of motion differences is to look at where your hands end up at the end of each exercise. For the bench press your hands end up even with chest. However, at the end of a chest dip your hands are usually well behind your chest. This is why it is important that you know how to do dips at home. 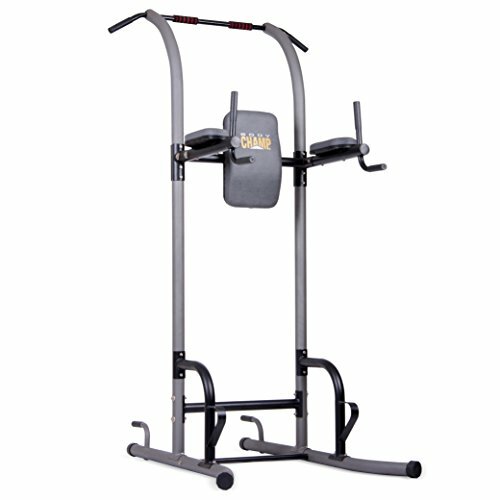 The first, and best, way to get your chest dips at home done is to buy a dip station. 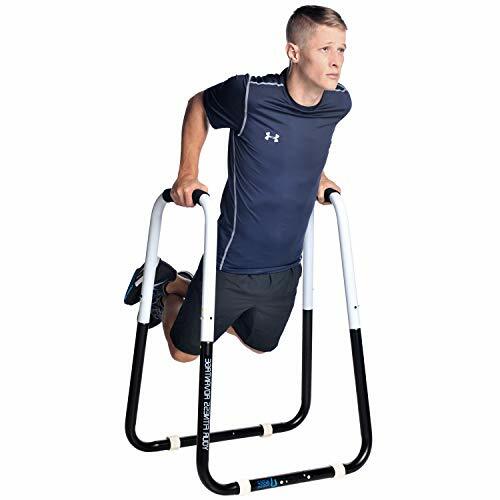 Dip stations are truly the best solution and they really aren’t that expensive either – well worth their price in fact. Our favorite type of dip station is one that also has a pullup bar attached to it. Many of these can be found online for around $100. We understand not everyone has the space required for a dip station at home, because of that we have a couple other solutions that should help you do dips at home. Do you have any shelves in your garage that are on wheels? Try emptying two shelves and wheeling them close enough together that you can do your dips between them with the shelves supporting your weight. Just be sure to lock the wheels in place so they don’t roll out from under you! 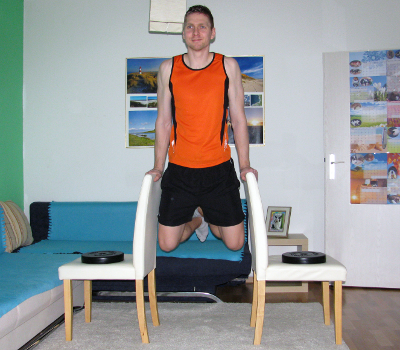 Chairs and stools make great tools for how to do dips at home– stools especially. Make sure you find two that are the same height – and the higher the better as they will allow for a wider range of motion. The motion is the same as with the garage shelving, hold yourself up in between the two stools and perform your dips. The added benefit of the chair/stool technique is that it may take some extra effort on your part to keep everything balanced. This is great for working your abs and overall core. OK – so technically this isn’t at home but at least it is free. Head over to your local park or playground and lookout for monkey bars or parallel bars. 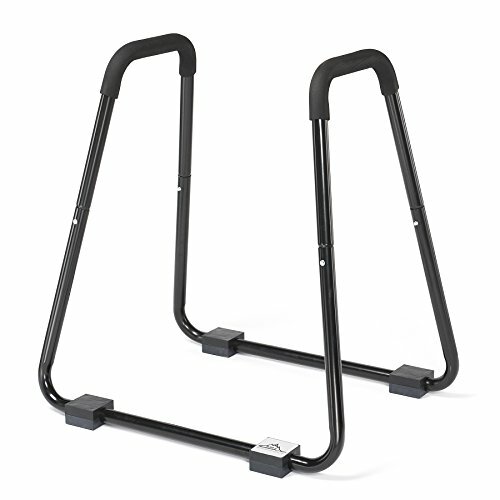 Technically these aren’t designed for doing dips but they will work great. This will be the most difficult was how to do dips at home – but well worth it once you’ve mastered it. The exact technique is called planche progression – you may have seen gymnasts or professional dancers doing this. Basically it is a pushup on the ground but where you balance your feet up in the air, holding your entire body weight up by just your two arms. Don’t think that you’ll be able to master this exercise in one attempt – this can take weeks, if not months of practice to perfect. That’s why we call it the planche progression – you need to progress through the workout in different stages. This is kind of like the ultimate exercise if you’re looking into how to do dips at home. Have you been doing your dips and need to find a way to make them a little more challenging? We highly recommend you look into purchasing a weighted vest. 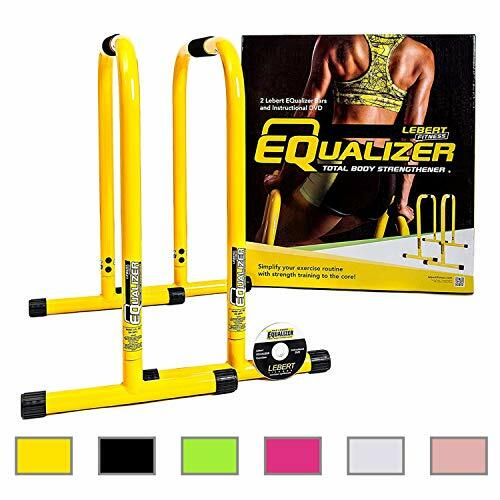 They are small, easy to use and can be used with a number of exercises. Simply put on your weighted vest when doing your dip routine at home and adjust the weight so you work harder and harder. 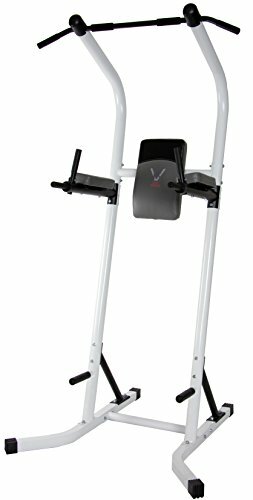 Your best bet for finding an answer to how to do dips at home is to spend a couple of bucks and buy an at home dip station. 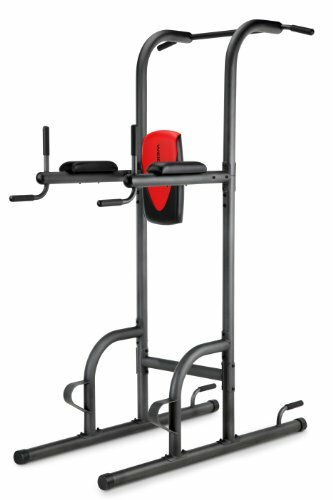 Most of the stations we recommended here were less than $100 – and by spending a couple extra bucks on a station with a pull up bar you can really improve your home workout experience. And don’t forget to do your dips! Your chest will thank you one day! Dips at home really is one of the most convenient exercises around. As long as you find a sturdy base and practice mastering your form you will be sure to see results.